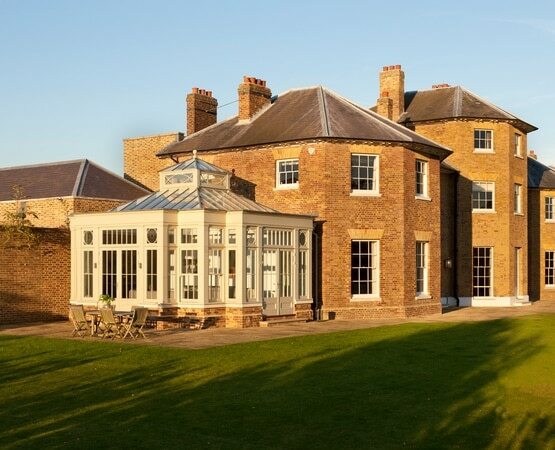 This grand and very striking timber orangery has been built at the rear of a beautiful mansion house, in a style in keeping with the house. 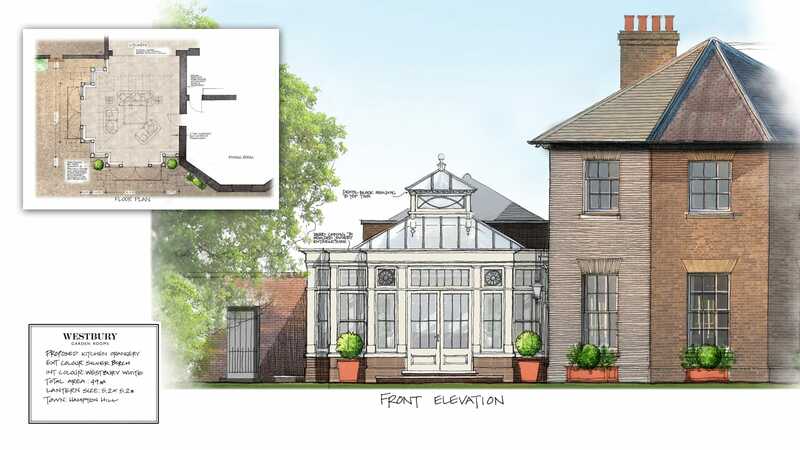 The new orangery was designed to make a bigger statement and to be balanced with additions on the right-hand side, creating interest via the introduction of symmetrical bay projections on two sides providing additional useable floor space and linking the garden with the house. 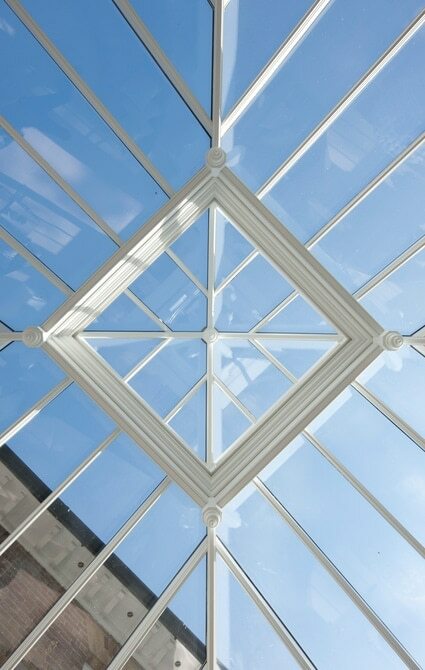 This building was a Crown Building and so Heritage approval was a prerequisite. 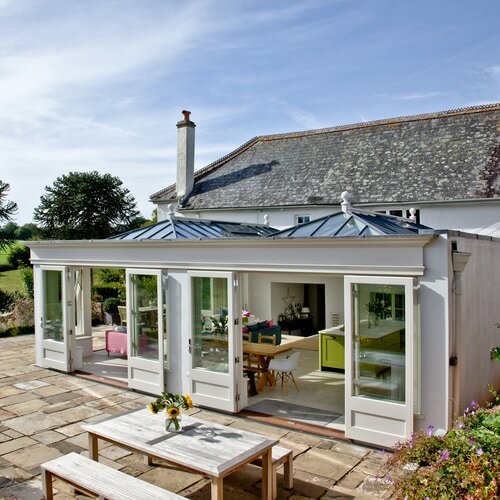 Raising the ceiling area adjacent to the existing glazed doors to the kitchen vastly improved the natural light, while the new voluminous glazed roof with a two-tier lantern was designed to fit with the existing proportions of the palatial sized house, while still maintaining the domestic scale internally. 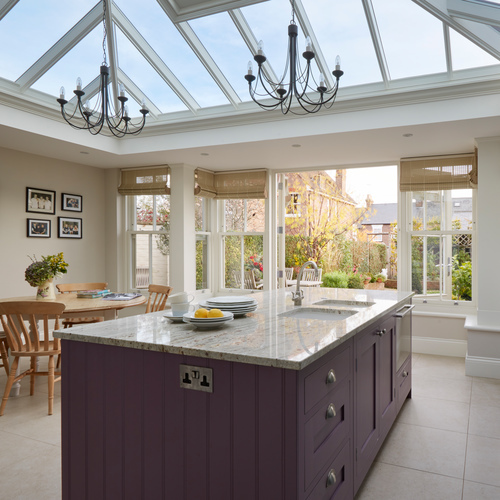 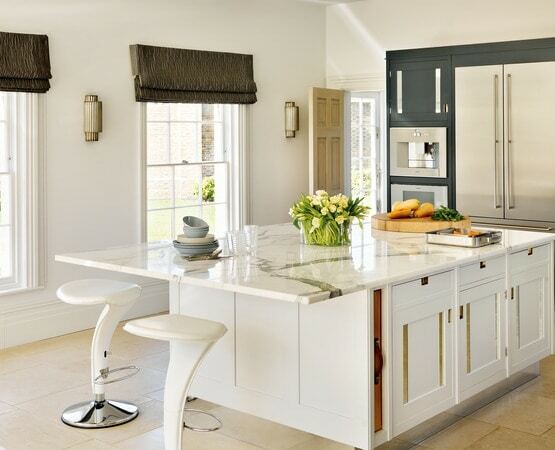 Opening into the Smallbones kitchen, the orangery provides a delightful space to relax and enjoy views of the garden. 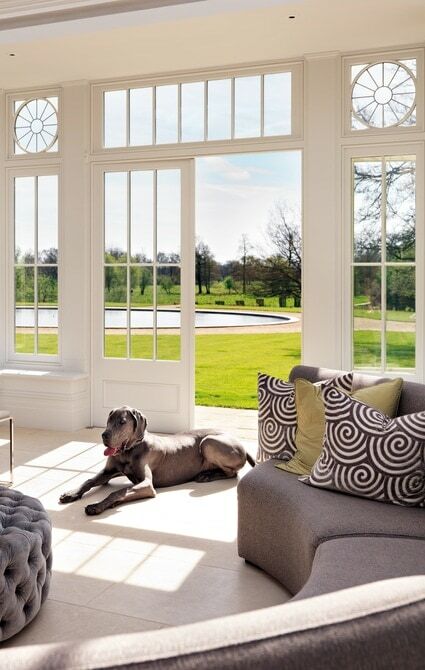 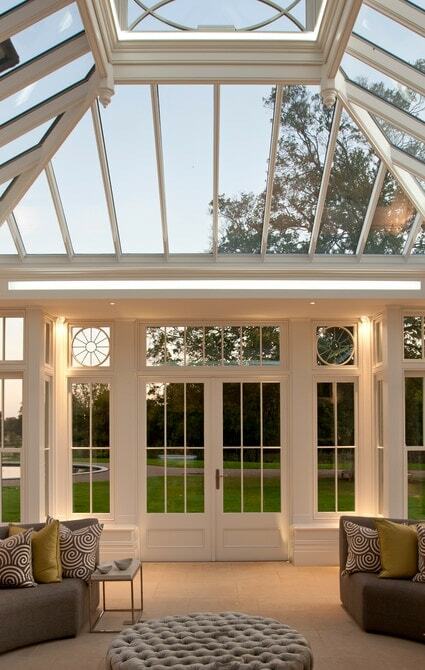 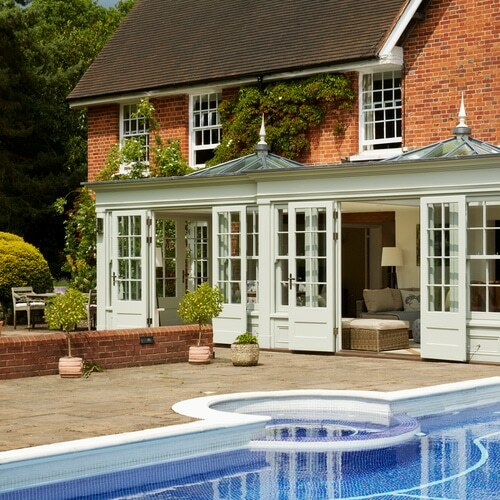 Elaborate in design, the orangery also has a contemporary feel that blends with the house perfectly. 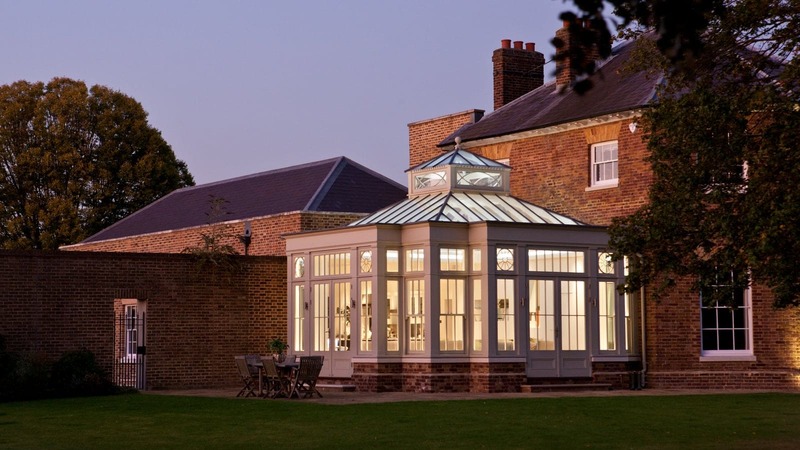 Featuring a turret topped roof lantern and perimeter ceiling margins it accommodates dramatic downlighters and is finished with a stone floor. 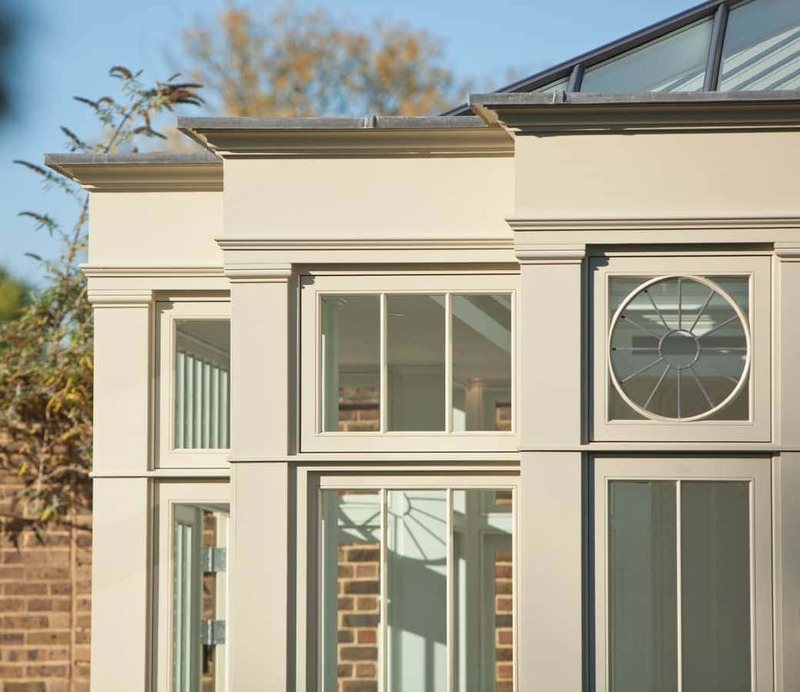 The projecting bay with the leaded light feature at clerestory level adds fine detail and value to the existing architecture. 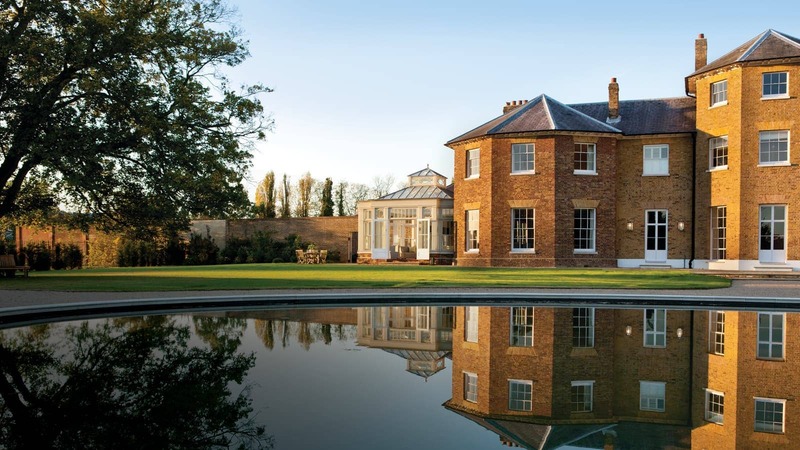 This building is a delight to look at and sit in, day or night.